Picture shows a prototype. Final model will look more nice. -Less sample memory (43 minutes). -Less analog options -Only one filterboard connector, no CV ins/outs and no extra audio ins/outs. It has 16 parts. 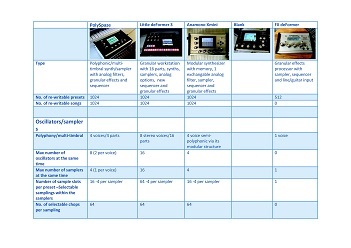 Each part can be selected to start with either a morphable multi waveform oscillator, a sampler or a noise generator. An optional analog filterboard can also be applied to the audio busses, for real analog processing. 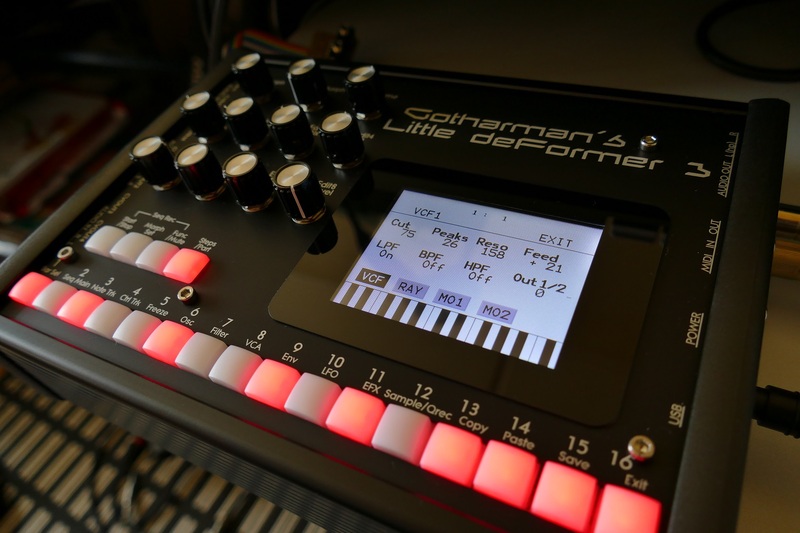 The sequencer can control both the internal parts of Tiny LD and external MIDI gear. 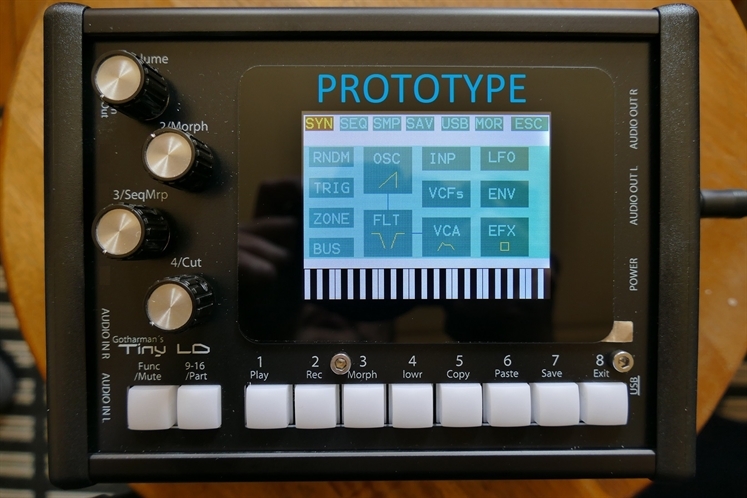 16 track audio track recording is also possible with the Tiny LD sequencer. Each audio track can be automatically chopped, for easy deforming.